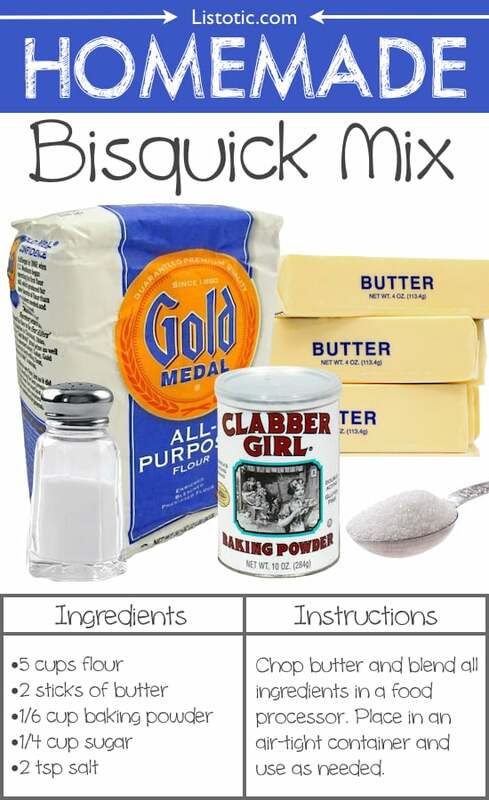 Have you ever though about how simple the ingredients are in Bisquick Mix and other baking mixes? Why buy it when you can make it for less, not to mention it’s healthier and tastes better, too! Combine and mix all dry ingredients. Chop or grate the butter. Mix all ingredients in a food processor for about 3 minutes. Place in an air tight container for up to 6 weeks. A good stain remover is a must, especially if you have kids or do a lot of cooking (I always forget the apron– doh!). 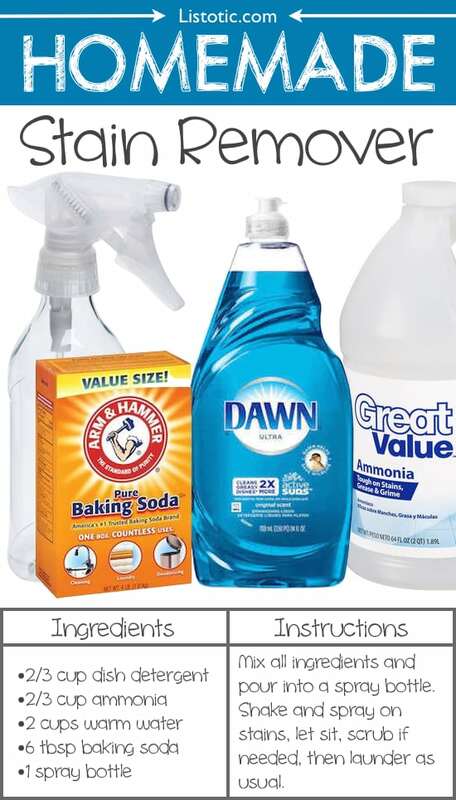 Believe it or not you can make your own stain remover that is not only cheaper than the commercial products like Shout, but works just as well, if not better. Just mix everything together in a spray bottle, shake, and spray! Let the mixture penetrate for 5-10 minutes, and then put a little elbow grease into it if you have a stubborn stain. Once removed, throw in the laundry machine with the rest of your clothes as usual. Just 3 ingredients! 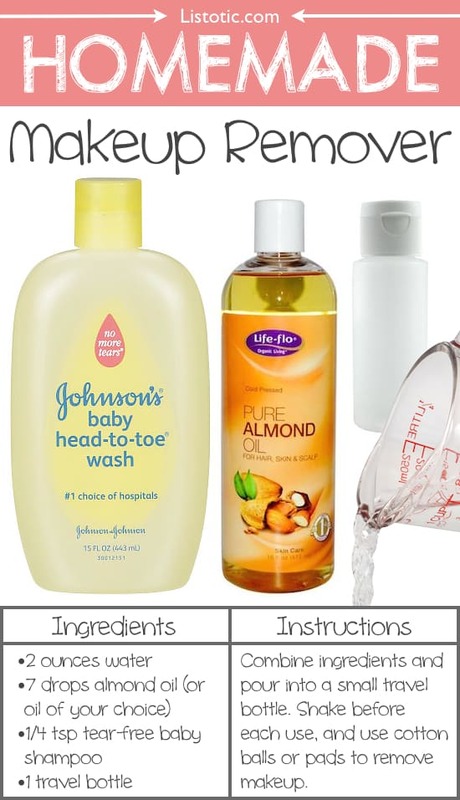 Tear-free baby shampoo, almond oil, and filtered water. Any skin-safe oil would do the job (coconut oil, olive oil, etc. ), but almond oil is full of vitamin A, B and E, and isn’t as greasy feeling as other oils. In fact, almond oil can also reduce the appearance of dark circles and delay signs of aging. It’s the perfect oil for skin and hair! Combine all ingredients in a small bottle and shake before each use. 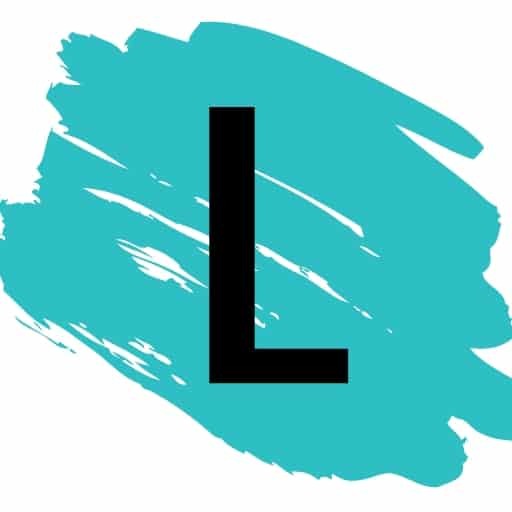 Use a cotton swab, ball, or pad to remove makeup, specifically around the eyes.